No. 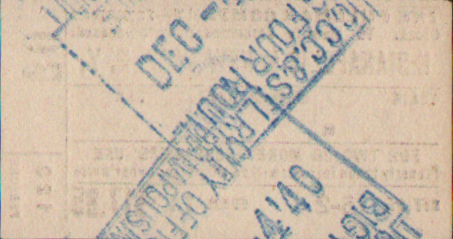 69 Office 15-2 Indianapolis to New York, N.Y. 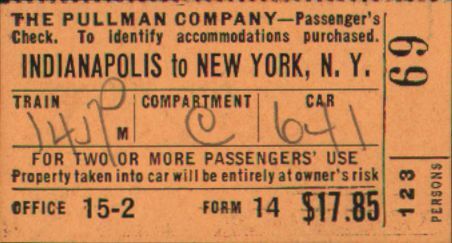 Description Pullman 1940 Form 14 Compartment Passenger's Check for Two or More Passengers' Use. Compartment C, Car 641 on the 1:45 PM Train for a cost of $17.85.